Protection against harmful factors in nurseries, plantations, crops and seed collection areas. It is performed through regular checks of sanitary conditions of facilities, diagnosis of harmful organisms, assessment of the level of endangerment, provision of guidelines for the operative unit to take preventive and repressive measures and immediate action in implementing prescribed measures. Activities undertaken by Forecast Reporting Service (FRS). The Law on Plant Protection and Ordinance on Performing Forecast-Reporting Activities regulate the duties and responsibilities of the Forecast Reporting Service. The Institute of Lowland Forestry and Environment is the regional centre performing forecast-reporting activities on the territory of Vojvodina. Collection of data on the outbreak and course of populational levels of diseases and pests is carried out through cooperation of the Company’s and Institute experts. 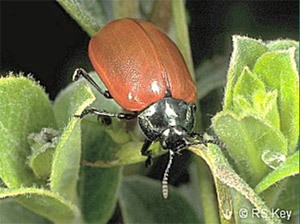 Announcements on expected outbreak of diseases and pests are submitted periodically by the Institute, but are also available online. Prevention of weed vegetation in nurseries and poplar plantations and regenerated forests of penduculate oak represents a serious problem in forestry and particularly in nurseries, young crops and regenerated forests of penduculate oak. Implementation of mechanical protection measures requires significant funds and possibilities of application of chemical protection measures are limited due to a small number of selective herbicides for forest tree varieties, presence of the game as well as to ecological restrictions. 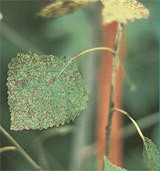 Poplar and willow diseases: Dothichiza populea, Marssonina brunnea, Melampsora sp. 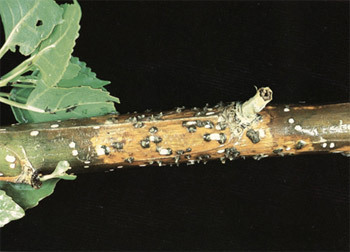 Coniferous tree diseases: Heterobasidion annosum, Lophodermium seditiosum, Lophodermium pinastri, Dothistroma pini. Aphidide sp., Byctiscus sp., Paranthrene tabaniformis, Hyphantria cunea, Helicomya saliciperda, Cryptorrhynchus lapathi, Noctuidae sp., Portethria dispar, Operophthera brumata, Hibernia defoliaria, Chyisomeldeae sp., Ppyllodecta vitellinae, Tortrix sp., Balaninus sp., Neodiprion sertifer, bog myrtlesand others.